a lot of people back home ask me if i get lonely out on the road. answer: no. 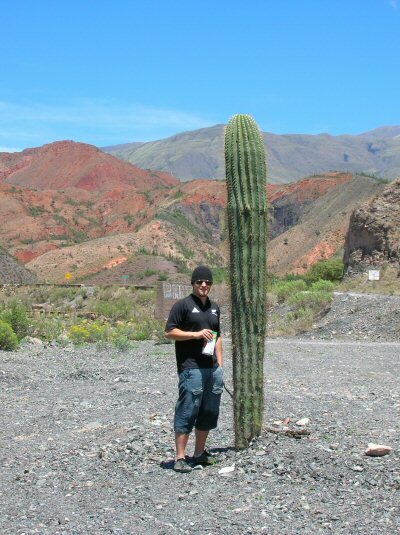 i left friends behind in mendoza and boarded a bus to salta, in the far northwest of argentina, where i met sophie from quebec, canada. 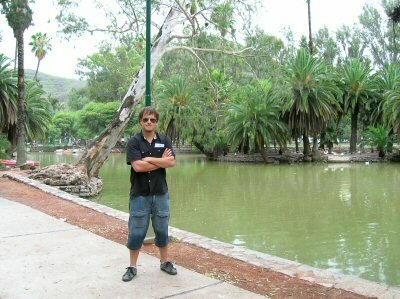 we decided to hang out for a few days to explore salta and the surrounding area together. 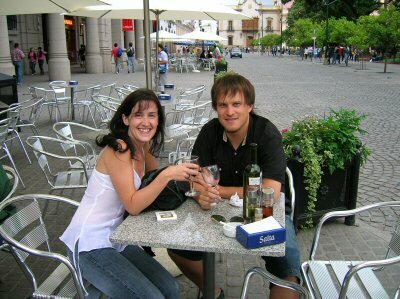 we headed to a cafe in downtown salta for a bottle of local wine shortly after arriving. 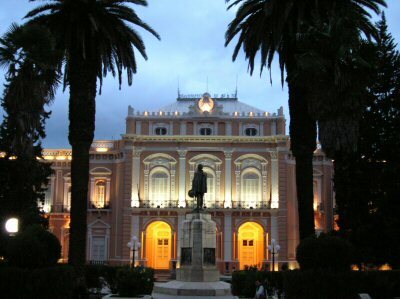 the architecture in salta is fantastic. 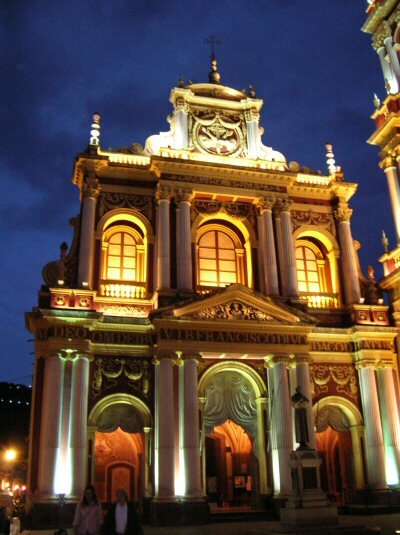 here is the iglesia san francisco. the legislature building of this provincial capital. some nice parks downtown also. 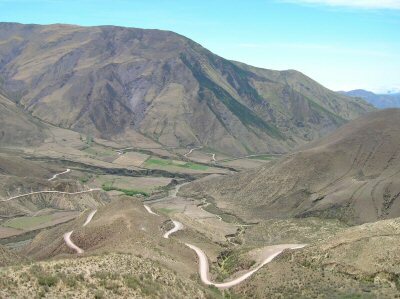 sophie and i rented a car one day and drove the spectacular road to cachi, an old mountain village tucked away in a canyon at the base of the andes. 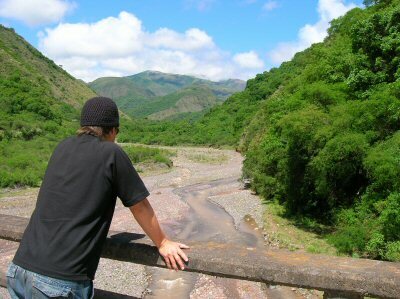 here i am looking at what lay ahead. 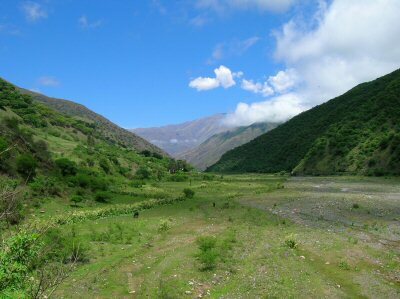 the road to cachi cut through a green lush valley at first. but the desert quickly consumed the land. the colors went from deep green to burnt orange, red and yellow. cactus grew everywhere. 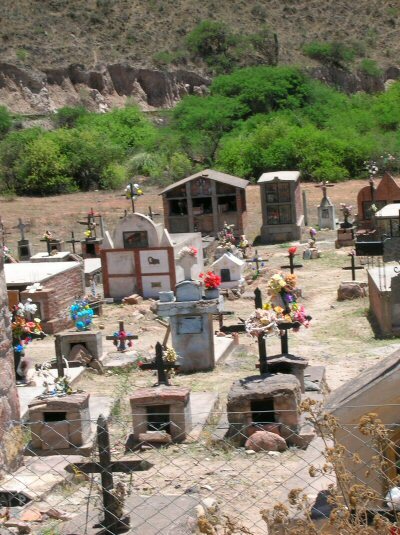 we passed by a small cemetary. 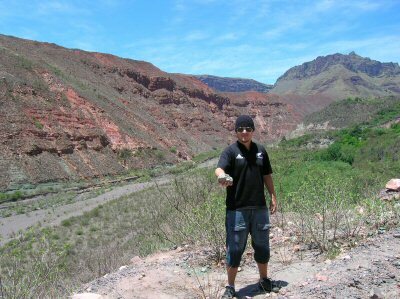 i am holding a green rock. i like green rocks. every once in a while we passed a farm. 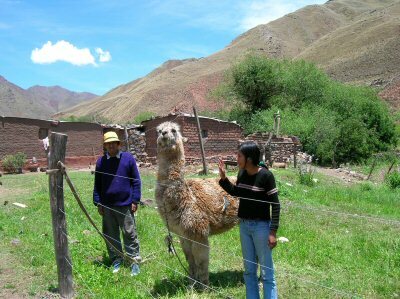 sophie jumped out to take a picture of a llama and some farmers. 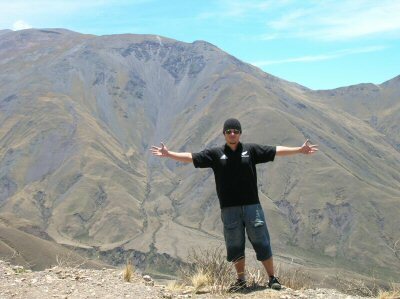 i pulled the car over now and then to look stupid in front of a mountain. the long and winding road, that leads to your door, will never disappear, i've seen that road before. it always leads me here, lead me to your door.